Many Reddit users in China who tried to access the social network this weekend were slightly annoyed to find the company’s site and app weren’t working. But in China, it’s second nature for internet users to turn on their VPNs, and in almost no time at all, they were surfing the “front page of the internet” again. And when they got back online, they started discussions about Reddit being blocked on the r/China subreddit: “Reddit won’t load without VPN,” “China finally block [sic] Reddit,” “Reddit banned in China?” There was outrage, but there was also amusement that Reddit wasn’t already blocked, given its frequent discussions of taboo topics, like censorship. (Reddit has been periodically unaccessible from mainland China, according to SupChina, which first reported the outage.) Some even joked that being censored was a badge of honor. According to users’ posts, the crackdown appeared to have started on Friday (Aug. 10). 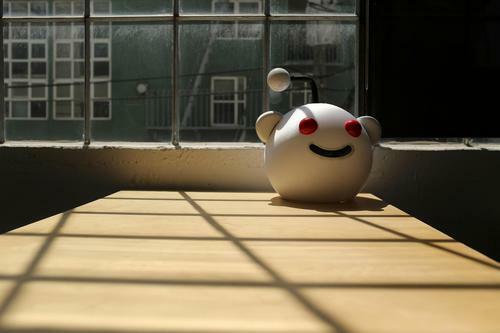 By today (Aug. 13), more people said they were able to access Reddit again. Many, however, report that Reddit remains behind the Great Firewall for them. Comparitech, a tool that checks if a domain is blocked in China, continues to show that reddit.com is not accessible via regular internet access, but reachable over VPN. It’s unclear if geography is a factor for why some people are and aren’t able to access the site. Quartz asked some associates in mainland China to check if Reddit was working for them. A person in Shanghai and another in Hunan said Reddit was loading for them, while others in Shenzhen and Beijing said it wasn’t. According to Reddit posts from Monday afternoon local time, users in Hangzhou and Dongguan reported the site was working while another person in Nanjing said it remained blocked. Ziyi Tang contributed reporting to this piece.